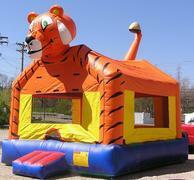 Dayton Inflatables is proud to offer bounce house rentals in Dayton, Springboro, Kettering and the surrounding areas. 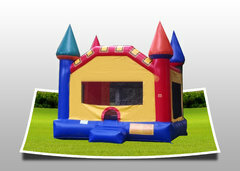 We offer a large selections of bounce house rentals that kids, teens, and even adults go crazy for. 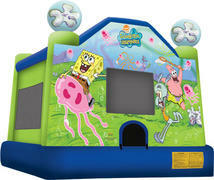 We have themed bounce house rentals that are great for every occasion. 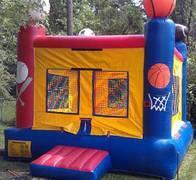 All of our jumper rentals are clean and sanitized before they arrive to your party. Also, you can rest easy knowing that all of our inflatables for rent are manufactured by the top companies in the world and meet or exceed all safety standards. 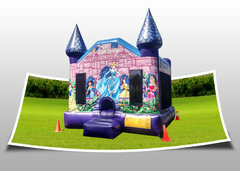 Whether you're looking for a bounce house for a kids birthday party, a company picnic, a corporate event or a school field day, Dayton Inflatables has you covered. 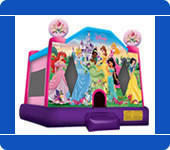 Check out our Disney Princess Bounce House; perfect for your little princess. 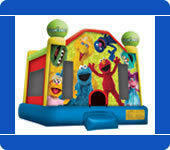 Elmo and all his pals will tell you how to get to Sesame Street with this great bounce house featuring Cookie Monster, Big Bird and more. 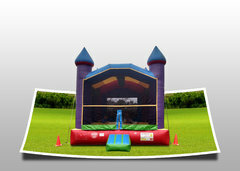 If you're looking for something with a little more room, be sure and take a look at our Large Castle Bounce. 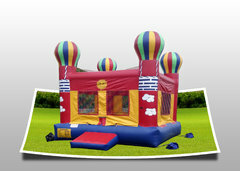 Our wide selection of inflatable rentals are guaranteed to create lasting memories for your guests. It's no accident that Dayton Inflatables is quickly becoming the number one choice for the best bounce house rentals Dayton has to offer. Looking for a bounce house with a slide attached. Head on over to our combo bouncers page. When it comes to the best selection of bounce house rentals, nobody comes close to Dayton Inflatables with selection and service. We proudly serve Dayton, Springboro, Kettering and other surrounding areas. 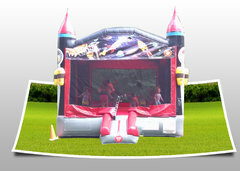 Our inflatables will have your party jumping. Browse the selections below and click the image or title for more information and to request a quote. We welcome all questions, so please contact us for inquires and orders.